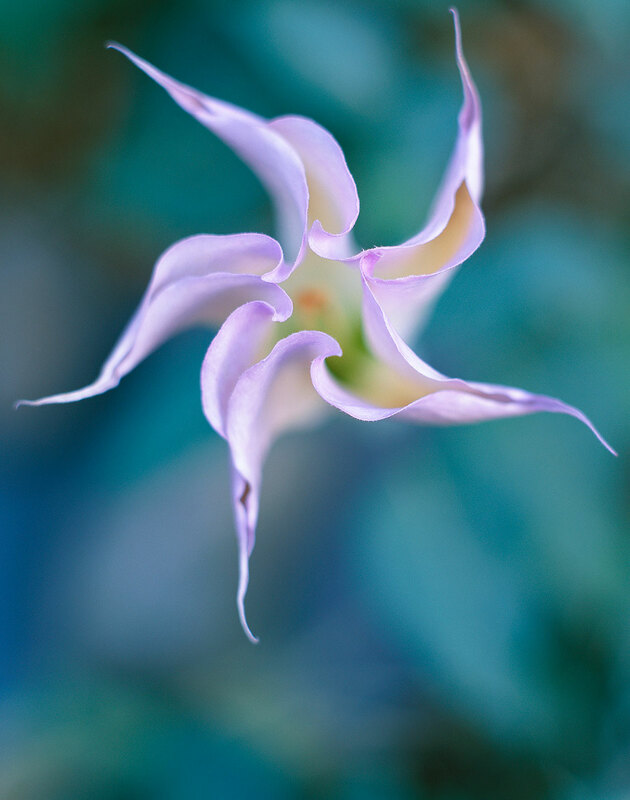 Since the Sacred Datura, or Moon Lily, opens at night and closes and withers in the daylight, it is hard to catch one in the act of opening while there is still enough light to photograph. I focused selectively to emphasize the soft, delicate quality of the flower against the leaves floating like a star or the moon in the twilight sky. Native to the desert Southwest, Daturas were a favorite subject of painter Georgia O’Keefe. The plant is extremely poisonous, but derivitaves were used in some native spiritual and medicinal purposes, as well as in modern medicine.